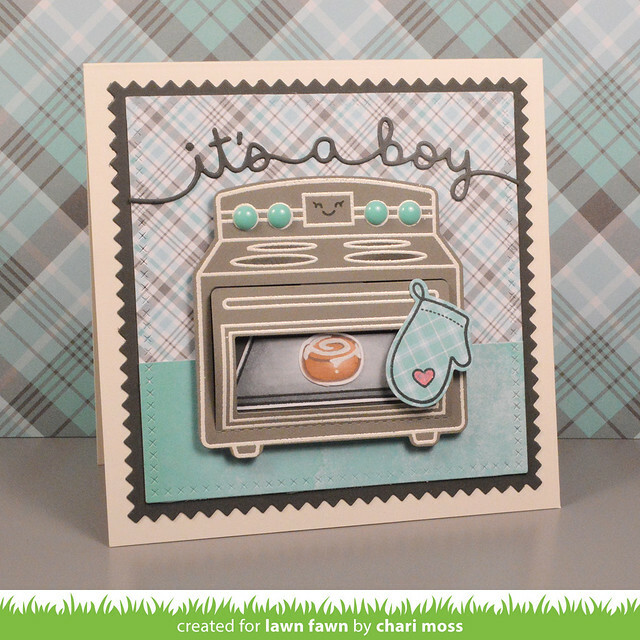 Today for Lawn Fawn Inspiration Week we are featuring the Bun in the Oven set which coordinates with the Sprinkled with Joy oven. 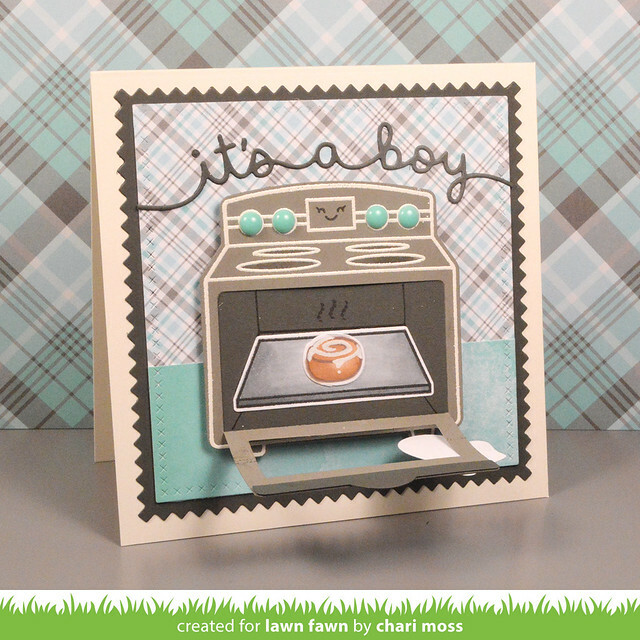 I used the Sprinkled with Joy add-on dies to create an interactive baby card with a little cinnamon bun inside. I used Perfectly Plaid Winter papers for my background and oven mitt. The It's A Boy border die makes a nice bold sentiment and the Storm Cloud and Narwhal cardstocks match the Winter plaids perfectly. 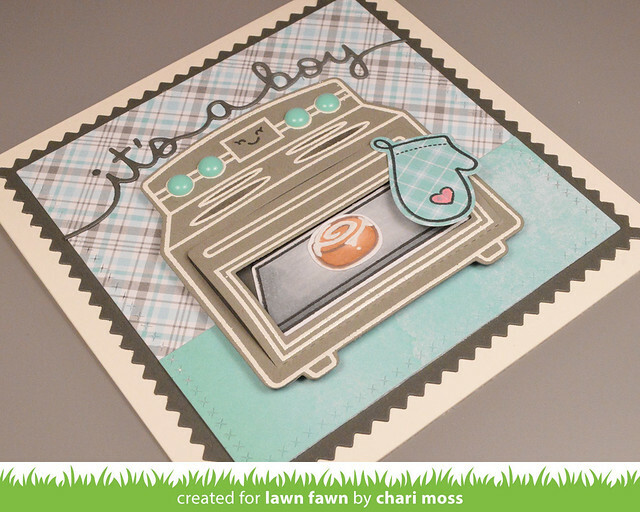 Be sure to check out the Lawn Fawn Blog for more projects and giveaways! Could you please explain exactly how you made that cinnamon bun? It is absolutely genius and I want to eat it! Did you color it with Copics? What colors? How did you make the frosting? Awesome card!